And that was only The Magician’s Apprentice. Series Nine has had some knock-out moments which will go down in the history of the Whoniverse; the mighty Missy meeting Davros, an epic Earthly Zygon invasion, and the Doctor riding a tank while playing a guitar solo in front of a crowd of Vikings. Oh, and the return of Gallifrey. 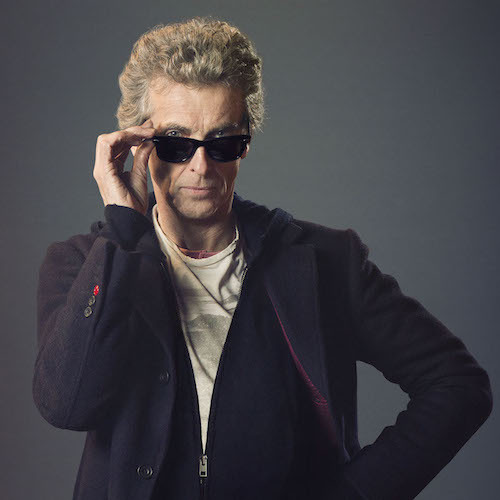 Peter Capaldi was at the top of his game with a much more rounded and nuanced Twelfth Doctor than we had seen in series eight, certainly showcasing an unforgettable performance. More importantly, his charm and charisma have the chance to shine through now that the writers have established he’s ‘not Matt Smith.’ He’s funny, witty, intense, and a strong individual. 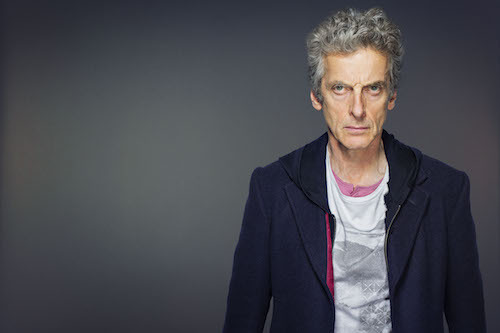 Peter knows who Twelve is, how he works, how he thinks, and he excels under the core themes of mystery and intrigue. Jenna Coleman, on the other hand, was given far less material than in the previous series. After a bright series eight, the main development of Clara’s characterisation lies in her reckless abandon – something we’ve only seen slight glimpses of in earlier episodes. Saying that, Jenna adds more to her scenes than what is expected of her, and time and time again proves she is every bit the match for Peter Capaldi’s Twelfth Doctor. The highlight of series nine is undoubtedly the shared chemistry of Twelve and Clara, and as a viewer, you can’t help but feel an overwhelming sense of nostalgia that their time together has come to an end. 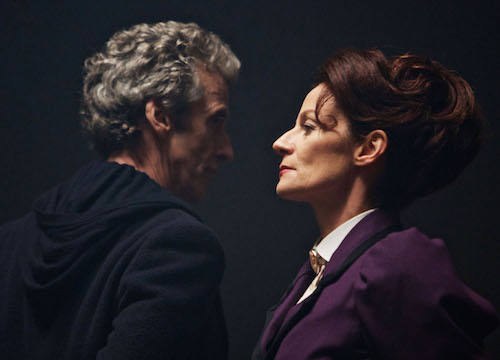 Michelle Gomez as the wonderfully crazy and delightfully evil Missy (a.k.a the Master, who we all love to love, we can’t even pretend to hate her) returned in the opening two-parter and set the bar incredibly high for the rest of the series. Her flawless companionship with Jenna Coleman, not only enticed viewers but made some ask Doctor, who? That was, until Peter Capaldi, through nothing less than sheer brilliance, captured the audience through a battle of words and bravado against the deceiving Davros. This winning combination, along with the few extra touches of the sonic sunglasses and the only other chair on Skaro, stands out not just from series nine but from the entire era of New Who. This is Doctor Who at its best. Series Nine also saw the return of UNIT headed by Kate Stewart (Jemma Redgrave), and the mysterious yet loveable Osgood’s (Ingrid Oliver), two favourites with viewers since their introduction in the fiftieth-anniversary special. While Kate wasn’t given much development this series, she did once again prove to be her father’s daughter with some lovely homages to the Brigadier; “five rounds rapid.” Not to mention the Zygon Inversion was particularly notable for its entire female cast aside from Peter Capaldi. Do we even need to mention that politically allegorical speech? Then came the three-part finale. 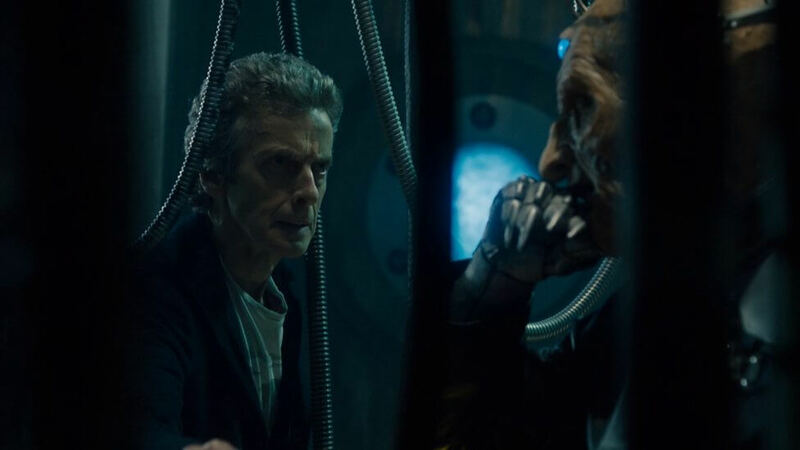 The return of Rigsy in Face the Raven felt special if nothing else – his character now feels unique to the Peter Capaldi era, and alongside Maisie Williams as the immortal Ashildr/Me, the episode delivered what series eight lacked; memorable repetitive characters belonging singularly to Twelve. An emotional piece with some lasting images (I imagine at the next Comic Cons many a Whovian will be sporting a numeral tattoo at the back of their neck), Clara came to face her fate in the ultimate chapter of characterisation; protecting someone she loved, standing brave to confront her fear, and in one moment of daring recklessness – gone, like breath on a mirror. Heaven Sent – the only episode guaranteed to go down in history of Doctor Who, this one-hander (well, almost) with Peter Capaldi was unique and powerful storytelling at its finest. If Heaven Sent is small in space but big in nature, Hell Bent was the opposite; big in space but small in nature. It was personal, emotional, romantic, and perfectly summed up what we’ll miss most about this team TARDIS of Twelve and Clara – two friends, who unashamedly adore each other, learning and loving and leaping through the stars. So what can we learn from series nine? The return of two-parters is welcomed. Peter Capaldi is getting stronger with every passing episode and we eagerly await his return in series ten (whenever that may be). Jenna Coleman will be missed as the wonderfully complex, flawed and impassioned Clara – she’s left big boots to fill for the next companion. Missy and Ashildr/Me are both welcomed back with open arms, and it will be curious to see how Missy reacts to the Doctor’s actions on Gallifrey. We now have ten years of similar storytelling and Doctor Who keeps moving forward just as it should. Onwards and upwards to the tenth series! Hilarious. I thought that Tennant was an unbelievably overblown mess. But what do I know? I’m obviously stupid. I’m a Classic Whovian who hated just about everything New Who seemed to stand for (basically, insanely overblown, trashy, emotionally-overwrought “Rose is the Doctor’s Twu Wuv” RTD-style messes) until Matt Smith surprised me into liking him, but now Capaldi’s “my Doctor” in terms of modern DW. I’m definitely very stupid, with no taste. Couldn’t give a damn, Weller. For Sarah: I’m not having a pop at modern or classic WHO fans, Sarah. Where have I called anyone stupid, with no taste? They can like what they like and are entitled to their opinions, in the same way you and others should tolerate mine. We are going to lock this thread now.